Unreleased recordings, especially the major discoveries, were usually tracked at concerts, often as bootlegs, and rarely if ever in a studio. Some Other Time: The Lost Session From the Black Forest, a newly discovered Bill Evans Trio album, is just such a rarity. As on John Coltrane’s A Love Supreme: The Complete Masters, released last fall by Impulse!/Verve, unreleased studio tracks generally comprise outtakes from an iconic session. Yet this two-disc set, a sequel of sorts to Resonance Records’ 2012 Bill Evans release, Live at Art D’Lugoff’s Top of the Gate, is a strange case. It is the only studio album recorded by the Evans trio with Eddie Gomez on bass and Jack DeJohnette on drums, the personnel on Evans’ 1968 Grammy-winning Bill Evans at the Montreux Jazz Festival, and almost no one knew of its existence until now, not even Evans’ biographers. The story behind its clandestine production in Germany’s pastoral Black Forest, and how it came to be locked in the vault for the past half-century, is a bit of a mystery. This discovery only deepens the Evans myth, which can seem as impenetrable as his music is accessible. With his impressionistic style, legato phrasing and rootless voicings, Evans is undoubtedly one of the most influential pianists in jazz history, but his public persona was a cipher. There was Evans the painter, responsible for the chiaroscuro shading on Kind of Blue, the diffident aesthete in horn-rimmed glasses who wrote that album’s poetic liner notes. Then there was Evans the tortured artist, sprezzatura in the fingers but not on the face-a reflection of his struggle with addictions to heroin and later cocaine, a battle he eventually lost at 51 in 1980. Always understated, Evans exemplified Hemingway’s iceberg principle applied to the piano, conveying the sense that beneath the placid surface he went as deep as the Mariana Trench. The audience for Some Other Time was small, and the situation atypical, but this does not account for the odd circumstances surrounding its non-release. The album’s quality could conceivably offer a potential explanation for its eventual fate, but this is not the case either. Some Other Time, released as a posh two-CD set on April 22, boasts a wealth of material, including much of the repertoire previously recorded by Evans-yet not with this trio featuring DeJohnette during his six-month stint. Lithe renderings of “You Go to My Head” and Evans’ own “Very Early” are complemented by Gomez’s percussive upper-register tonalities and DeJohnette’s coloristic cymbal work, in addition to an intimate duo exchange between Evans and Gomez on “Baubles, Bangles & Beads.” A masterful solo piano version of “Lover Man” has little in common with the gut-wrenching Charlie Parker rendition that may have kept such an album from the market, nor is Some Other Time plagued by the shoddy production value of a live bootleg or the crackle and pop of a poorly preserved acetate. Rather than serving to demythologize the man, this is a pristine record of Evans in his prime, charting a transitional mode from what critic Marc Myers, who wrote the liner notes, calls his “swinging romantic” period to his “percussive poet” phase, making it all the more significant to Evans completists. So why was it never released? When the album was recorded on June 20, 1968, in Villingen, no one intended for the tapes to languish inside the estate of the late Hans Georg Brunner-Schwer, the founder of the then-fledgling German MPS label. They were still in the family safe in 2013 when Resonance Records’ Executive Vice President Zev Feldman made the discovery. “People are starting to call me the ‘Jazz Detective,'” Feldman says. In 1968, Evans had an exclusive contract with MGM/Verve, and Brunner-Schwer owned the Black Forest tapes, so the prospect of distributing the album left MPS in a legal double bind. Decades later, it still took Feldman several years to finalize the deal with the various interested parties. Born in 1927, Brunner-Schwer, known as HGBS, was the heir to an electronics fortune from the German SABA corporation, and had spent his adolescence listening to jazz broadcasts on the illicit American Forces Network during World War II. Starting in 1963 he began hosting house parties in Villingen, hiring the likes of Duke Ellington, George Duke and Oscar Peterson to perform. 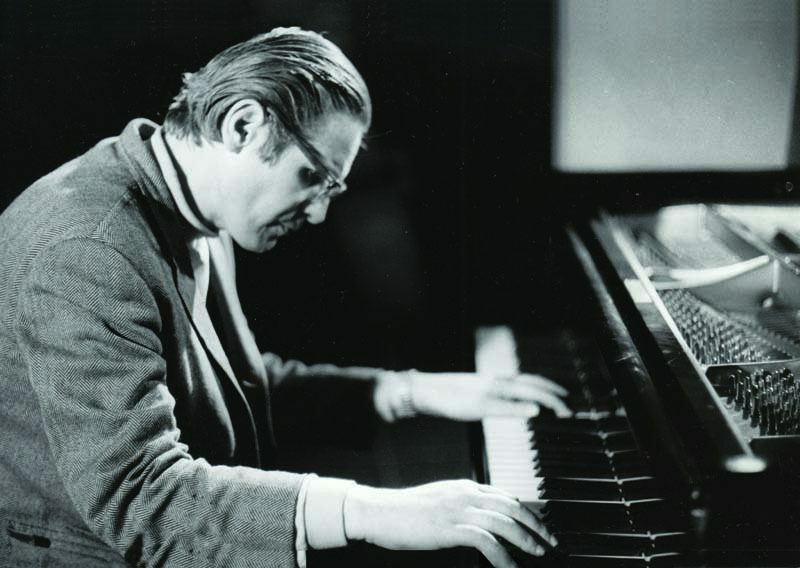 Peterson began making annual trips to the Black Forest, where Brunner-Schwer had a Steinway grand in his living room and honed his skills as an audio engineer. In 1968, Brunner-Schwer left SABA and founded Musik Produktion Schwarzwald (meaning “Black Forest”), which went on to release 700 recordings by an array of artists, from Jean-Luc Ponty to Joachim Kühn, until MPS was acquired by Polygram in 1983. An amateur pianist himself, Brunner-Schwer once had a Bösendorfer Imperial Concert Grand brought to the MPS studio exclusively for Friedrich Gulda. He also harbored an ambition to record Bill Evans. Brunner-Schwer got his chance in 1968, when the Evans Trio headlined the second annual Montreux Jazz Festival. After the trio’s performance on June 15, 1968, German critic and MPS producer Joachim-Ernst Berendt approached Helen Keane, Evans’ longtime manager and producer, to make the overture, which Keane accepted on uncertain terms. “For unknown reasons, only a cursory agreement was drawn up, providing that the recording ‘will not be released for commercial purposes without the written permission of Bill Evans and/or Helen Keane. A contract will be negotiated later,'” Friedhelm Schulz, the current manager of the studio in Villingen and a close friend of the Brunner-Schwer family, writes in a liner essay. Optimistically, an MPS catalog number was assigned. According to Schulz, who was not physically present for the recording, on June 20, Evans, 38, Gomez, 23, and DeJohnette, 25, traveled across the Swiss border to Villingen, presumably by train, made the recording in the state-of-the-art MPS studio over several rushed hours in the early evening, spent the night in a local hotel and left the next day without incident. On June 22, the trio performed for a radio audience in Hilversum, the radio capital of Holland. If Evans felt uncomfortable, it was probably not for lack of audience. In the liner notes to Alone, his subsequent studio album, Evans implied that he was more at peace in private. 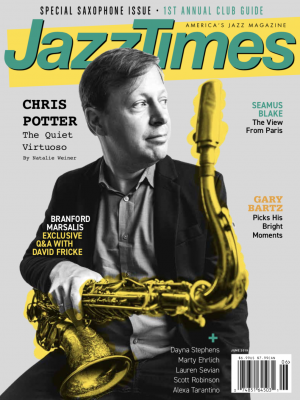 “Perhaps it is a peculiarity of mine that despite the fact that I am a professional performer, it is true that I have always preferred playing without an audience,” Evans writes. Yet the string of live performances following the Black Forest session were by all accounts electrifying. The trio performed a successful month-long residency at Ronnie Scott’s in London, and it seems little to none of the material from Some Other Time made the set list. “Embraceable You” became a Gomez feature, while “Nardis” was a springboard for DeJohnette to take flight; both were highlights of the Montreux album. “Bill played really great [at Ronnie Scott’s], being in one place, with an audience, and being in the same space acoustically, so it was very creative,” DeJohnette recalls. 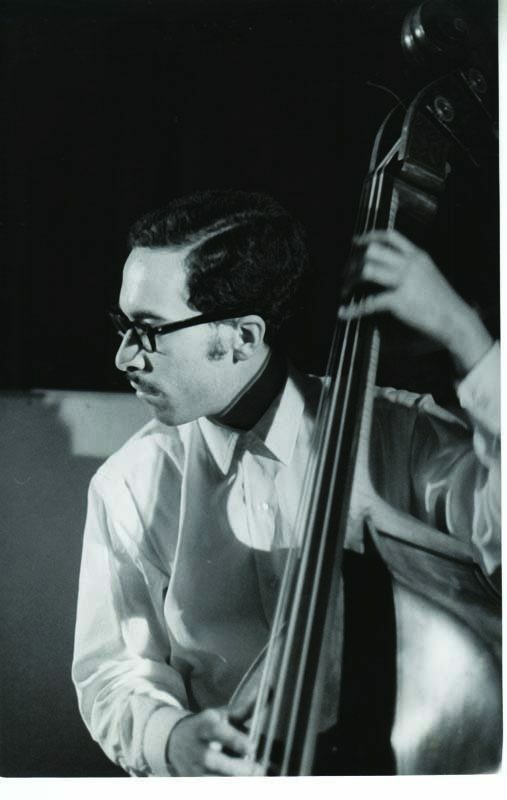 Miles Davis and Philly Joe Jones attended, and asked Dave Holland, who was the bassist for opening act Elaine Delmar, if DeJohnette would “tell Dave, ‘If he could get a ticket to come over to the States, [Davis would] hire him. 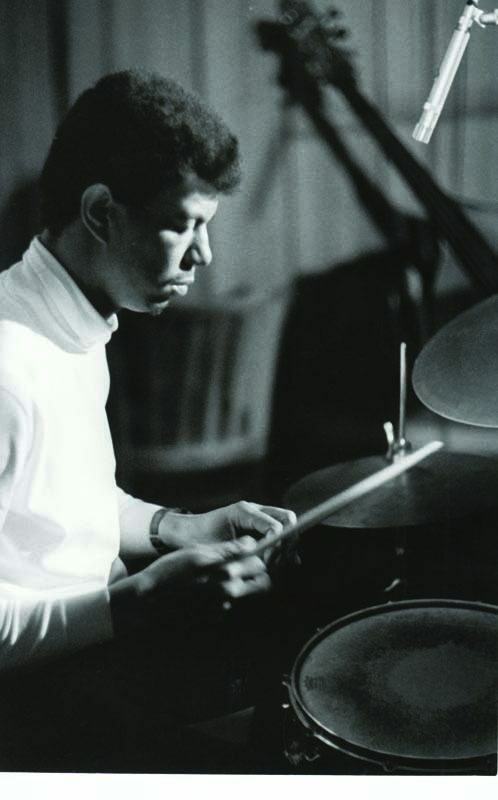 '” When Tony Williams formed Lifetime in 1969, DeJohnette left the Evans trio and joined Holland in Davis’ group, solidifying what would become known in jazz lore as the Lost Quintet. “As [Evans] went on, his playing got more conservative and less free, so for me, that’s one of the reasons why I left,” says DeJohnette. “I needed to explore.” Gomez would remain with Evans until 1977. Keane, who served as Evans’ producer until his death, was a tough negotiator. “[Bill] was not arrogant. He was the kindest, sweetest man in the world, but people did not mess around with Bill,” Keane, who died in 1996, said in an interview. “No one would ever cross a certain invisible line with him.” But that line was often Keane herself. In 1974, less than six years after the Black Forest session, Keane and Brunner-Schwer had a falling out while recording Symbiosis, a massive orchestral collaboration with Claus Ogerman, for MPS. In The Other Side of Nowhere: Jazz, Improvisation, and Communities in Dialogue, Keane recalls that Brunner-Schwer recorded the album when Evans was in between contracts with Columbia and Fantasy. “After Claus Ogerman and I spent 12 hours one night mixing the album, when it was released, Brunner-Schwer had remixed the whole thing himself-added echo and reverb. He ruined it,” Keane said. “Claus started a lawsuit. It was taken off the market and then reissued the real way.” It was at this point, it seems, that with hundreds of other projects in the works, Brunner-Schwer decided to permanently shelve the tapes that would become Some Other Time. It is not entirely clear what really happened at, and to, the Black Forest session. What narrative we are left with is the posthumous album, but it ultimately poses more questions than answers. At its best, a studio album captures lightning in a bottle; we don’t see the rain, but sometimes, and almost inevitably, some rumbles find their way into the grooves, little disturbances and distortions that make the document less perfect but more interesting. Listening to Some Other Time is to be transported to that time and place, to feel Evans’ love for the music and the specter of his outsized inner demons. It is a record of a fleeting moment of transition, before DeJohnette moved on, before Gomez had finished “developing a voice,” he says, and before Evans’ untimely death, but somehow we also hear all that was to come. It is the surprise of opening a time capsule, where items that once seemed so important suddenly seem, in hindsight, significant for completely different, possibly tragic reasons.